These 14K gold Claddagh stud earrings feature emerald hearts along with diamonds in the rings. The emeralds have a weight of 0.027ct. and the diamonds have a weight of 0.074ct. 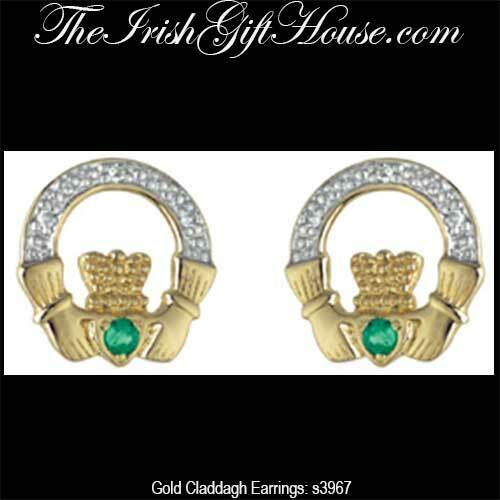 The emerald Claddagh earrings measure 3/8” diameter and include push on butterfly backs.